We’re celebrating our 15 YEAR ANNIVERSARY here at Johnson Direct (JD). How does it feel to be 15? Collectively, the energy emulating from the offices is full of gratitude and eagerness. Of course, we’re thankful to have survived some difficult economic times over the years and appreciative for the business our loyal clients have awarded us year after year. And, we’re enthusiastic about the smart solutions and multichannel campaigns that are in various stages of planning and development. I thought it would be fun to bring you a more candid response from individual JDers. It isn’t every day we think about the one professional rule we live by. So I asked our celebrants of strategists, business developers, graphic and digital designers, writers and account managers to divulge one most-valuable insight to compile this TOP 15 List. Valentine’s Day is a sweet reminder that our clients and partners are really at the HEART of our business. Milwaukee-based firm to create multichannel marketing campaigns for Global Voice of Quality. Milwaukee, Wis. – Multichannel marketing communications agency Johnson Direct announced today that it has been named the agency of choice for a Request for Proposal by ASQ, the American Society for Quality (www.asq.org). The win is among several new engagements the agency has won as a result of its expertise in integrating digital and direct marketing. ASQ — the leading authority on quality in all fields, organizations and industries — engaged Johnson Direct (www.johnsondirect.com) to manage creative strategy and execution for multichannel programs focused on improving member referral and retention. Among the programs’ deliverables are a new member microsite, referral landing page and multiple email components. Campaign goals are focused on increasing new member engagement and membership renewals, boosting member involvement in recruiting and generating qualified referrals. ASQ cited Johnson Direct’s Direct Branding™ approach (www.direct-branding.com) as a strong differentiator and is following the agency’s process step-by-step to ensure success. “We selected Johnson Direct as our partner for these efforts because of its proven experience in developing smart, creative membership programs for other associations and nonprofit organizations,” says Susan Downs, manager of marketing services, ASQ. ASQ is a global community of people dedicated to quality who share the ideas and tools that make our world work better. ASQ provides the quality community with training, professional certifications, and knowledge to a vast network of members of the global quality community. Johnson Direct (JD) is a full service, fully integrated advertising and marketing communications agency in the U.S. With offices in the metro Milwaukee and Chicago areas, the agency provides both traditional and digital capabilities including advertising and digital advertising, brand development, consulting, creative services, content marketing, email marketing, direct mail, interactive design and development, public relations and ePR, search engine optimization and social media. Johnson Direct is passionate about delivering innovative, highly responsive communication services that garner a positive ROI for clients. 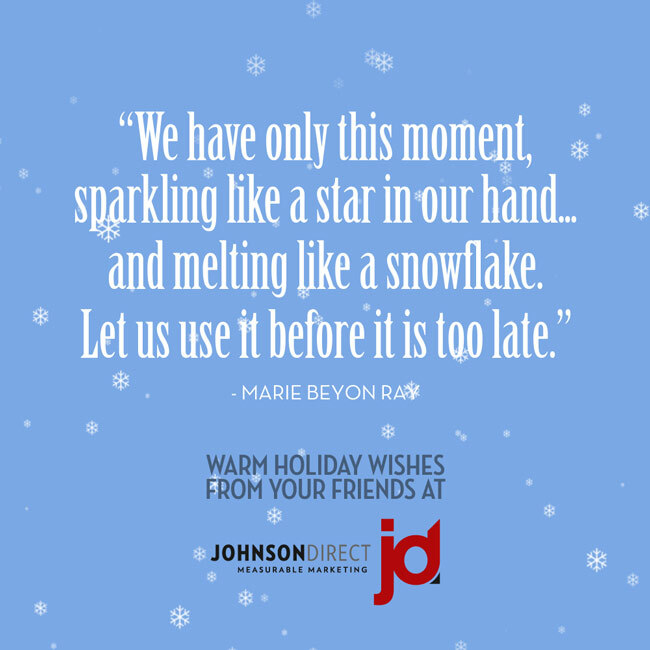 Learn more about Johnson Direct’s leadership, approach and portfolio at www.johnsondirect.com. ASQ is a global community of people dedicated to quality who share the ideas and tools that make our world work better. With millions of individuals and organizational members of the community in 150 countries, ASQ has the reputation and reach to bring together the diverse quality champions who are transforming the world’s corporations, organizations and communities to meet tomorrow’s critical challenges. ASQ is headquartered in Milwaukee, Wis., with national service centers in China, India and Mexico and a regional service center in the United Arab Emirates. Learn more about ASQ’s members, mission and technologies and training at asq.org. For the best visual experience view it online! What’s even better is its pocket-friendly size. Who can’t use a bit of inspiration that can be stashed and stored in a pocket or purse? That stroke of genius can always be close at hand! 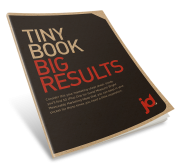 To receive your complimentary copy of the Tiny Book of Big Results, simply complete this small form and you’ll be on your way to measurable results.